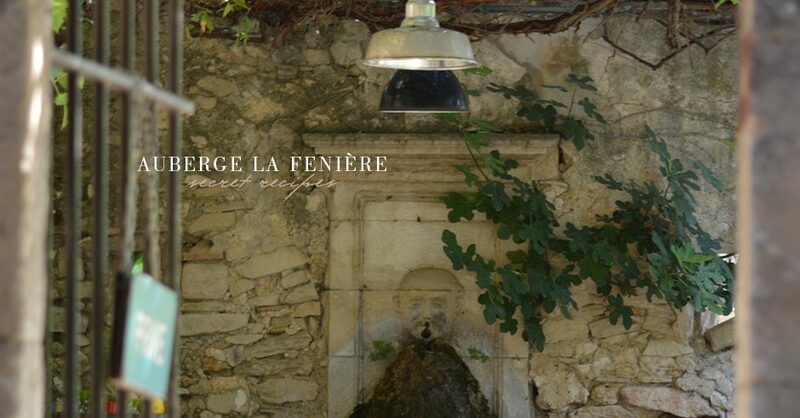 I recently attended a fabulous gastronomic event at Auberge La Fenière in Cadenet, just near the picturesque Provence village of Lourmarin. It was a fabulous day, well organized and inspired me to share their great local recipe for Boullabaisse. 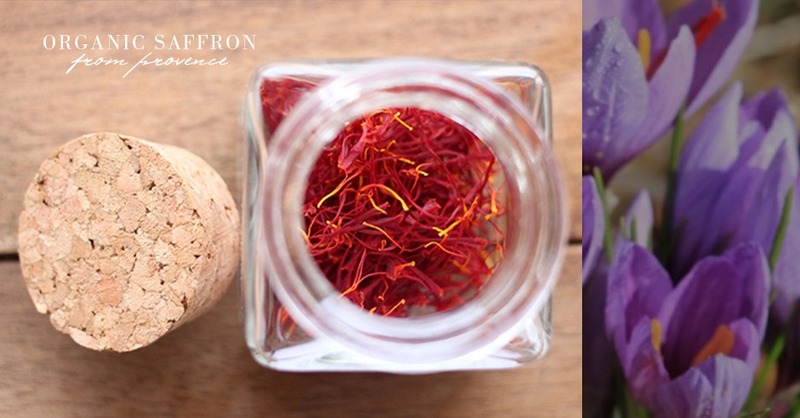 Timed just perfectly for our Luxe Provence Box clients who just received organic saffron in their Autumn curation. 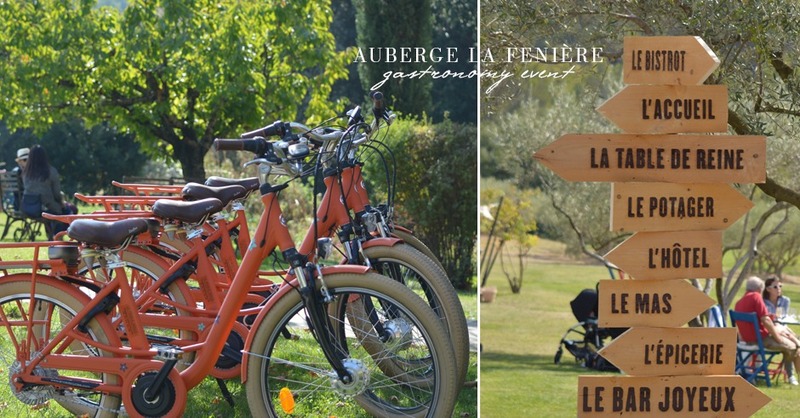 Surrounded by gardens and vineyards, this family-run auberge, in a stone farmhouse and its outbuildings, is 1.8 km from Lourmarin village and 10.4 km from the former Cistercian monastery of Abbaye de Silvacane. 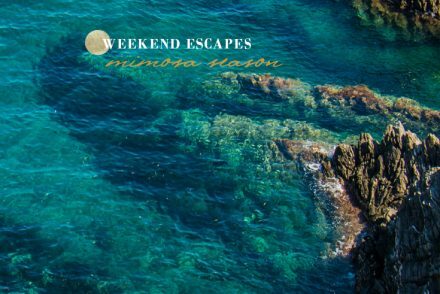 A great central spot to stay to explore the villages of the Luberon. The restaurant is run by the well-regarded culinary family, the Sammuts. 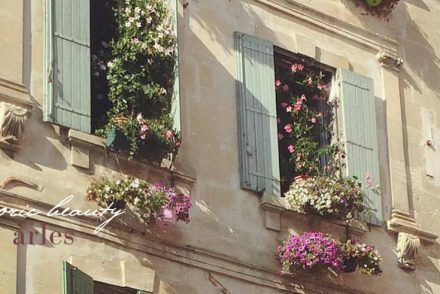 The mother-daughter chef duo begins with Reine Sammut, a distinguished Michelin star “toque” working meticulously for over forty years in Provence. 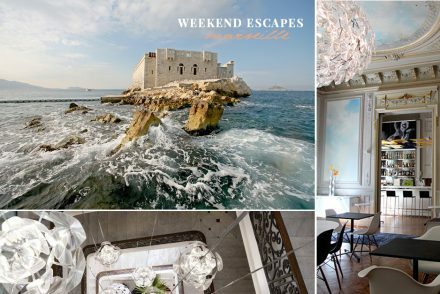 Together with her daugher, Nadia Sammut, they have opened the first gourmet 100% gluten-free restaurant in France. “It took us a year of work to transform the recipes developed for years by my mother. But since the month of February, we went to a kitchen completely free of gluten”, says Nadia Sammut. For Nadia as a young woman, a switch to a diet without gluten or lactose was not merely a trend following choice, but rather an ordeal. “Thirty-five years ago, doctors did not know celiac disease which is an intolerance to gluten”, she says. Its growth is delayed. At 29, she was hospitalized and “doctors told me I destroyed my immune system, I was at the peak of the disease”. Nadia was bedridden for two years before discovering the cause of her disease was gluten. The talented mother and daugher duo have now teamed up to create one an innovative gluten-free restaurant at the Auberge featuring produce from the property’s organic garden. The family, along with papa’s lead, works to source the highest quality local ingredients from top producers, from fresh sustainable fish to high-quality, organic meats. The Auberge also offers gluten-free gourmet cooking classes in it’s gorgeous on-site kitchen for both adults and children. My 7-year old adored his class during the festival and created some truly delicious gluten-free sweet and savory cookies, salads and more, all in just over an hour. During the Gastronomy Festival, the Auberge brought in a number of local producers that they routinely work with whom also offered up a variety of accessibly priced lunch plates for visitors during the day. 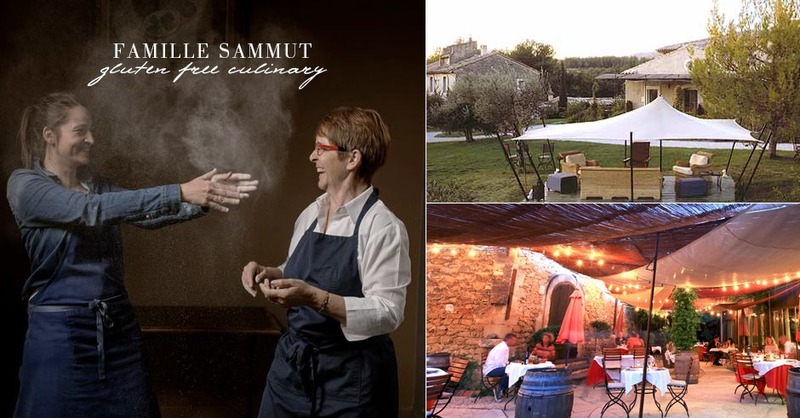 That evening, Reine Sammut hosted a fabulous 4-course dinner gala at her prestigious restaurant to culminate a beautiful culinary day in Provence. 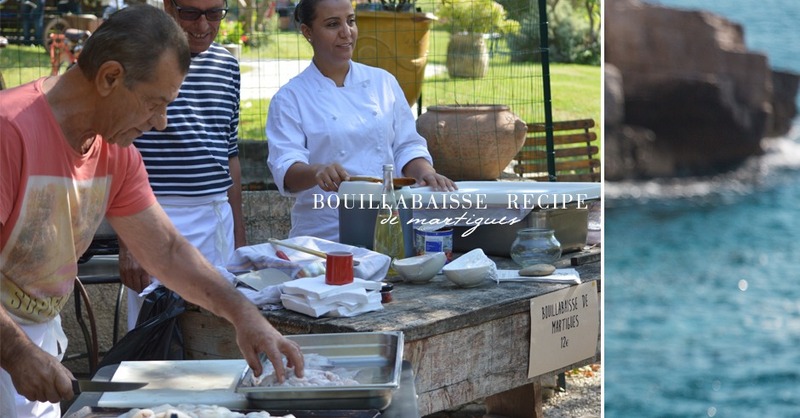 I am pleased to share this Bouillabaisse Recipe from Martigues, that was published that day.Bouillabaisse is a quintessential and classic Marseille dish and we are featuring this recipe featured at the Auberge with a spin on higher-grade seafood. 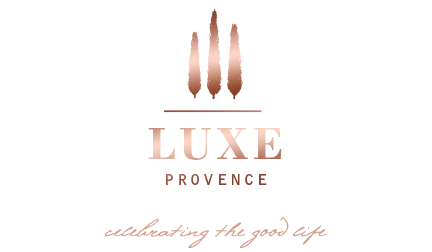 Luxe Provence Box clients can put your new saffron to work! Quand ca bout, baisse le feu = when it boils, turn down the heat… ou bouille et baisse. Bouillabaisse was originally a stew made by Marseille fishermen of Provence using the bony rockfish which they were unable to sell to restaurants or markets. There are at least three kinds of fish in a traditional bouillabaisse: typically red rascasse (Scorpaena scrofa); sea robin (fr:grondin); and European conger (fr: congre). It can also include gilt-head bream (fr: dorade); turbot; monkfish (fr: lotte or baudroie); mullet; or European hake (fr: merlan). It usually also includes shellfish and other seafood such as sea urchins (fr: oursins), mussels (fr: moules);velvet crabs (fr: étrilles); spider crab (fr: araignées de mer) or octopus. More expensive versions may add langoustine (European lobster), though this was not part of the traditional dish made by Marseille fishermen. Vegetables such as leeks, onions, tomatoes, celery, and potatoes are simmered together with the broth and served with the fish. The broth is traditionally served with a rouille, a mayonnaise made of olive oil, garlic, saffron, and cayenne pepper on grilled slices of bread. Without further ado, here’s the recipe, courtesy of La Fenere who featured a version featuring more noble local fish from the Martique area. Place the fish in a large platter or pan and pour marinade on top. Let rest for 15 minutes then add rockfish, herbs and following with tomatoes and 3 liters of water. Serve this traditional and delicious fish stew in a large shallow bowl with croutons, or small well-toasted bread brushed with olive oil and topped with rouille. This thick garlicky bread sauce adds key Mediterranean flavor.